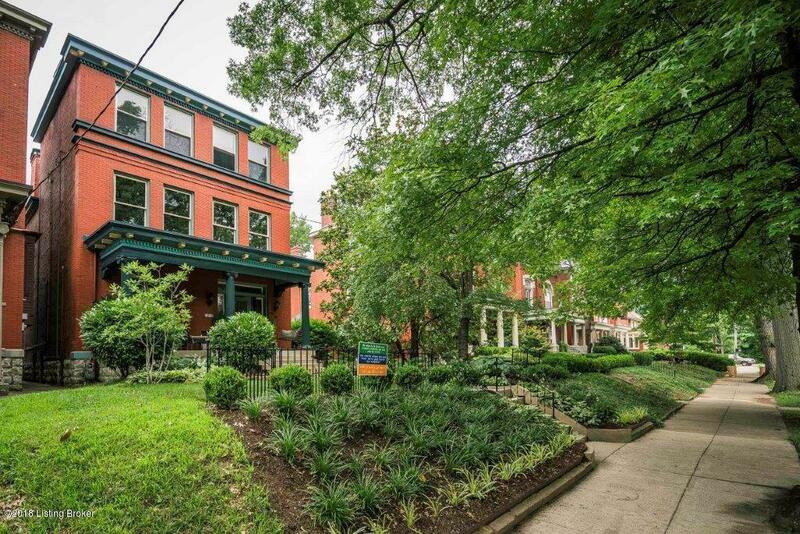 Welcome to 1318 Cherokee Rd, a wonderful example of turn-of-the-19th-century Greek Revival architecture nestled in a neighborhood that should be described as verdant splendor. This 4 bed, 3 bath, three-story home has all of the charm a loving family can pour into a home over 40 years. The formal dining room is spacious and has a solarium with french doors looking over a delightful patio and garden. Formal living room, spacious front porch, a lovely inset bar area and the kitchen make up the first floor. Three bedrooms, including a spacious 'master bedroom', two baths, and sleeping porch make up the second floor. The third floor can be accessed from the home but also has a separate entrance and would be perfect for a nanny/guest suite.It has a bedroom, kitchen and bath and some absolutely stunning views into the tree canopy. The home has experienced many updates over the years but most recently the roof, box gutters, and tuck pointing were maintained/replaced. Painted faux elements, including wainscoting, trompe l'oeil, and crown moulding fill the walls, not to mention the "Matisse" nudes by Jeffery Lee in the bathroom. Five functional gas fireplaces. Leaded glass front door and side panels, and beautiful stained glass windows as well. Short distance to parks, dining, and entertainment.